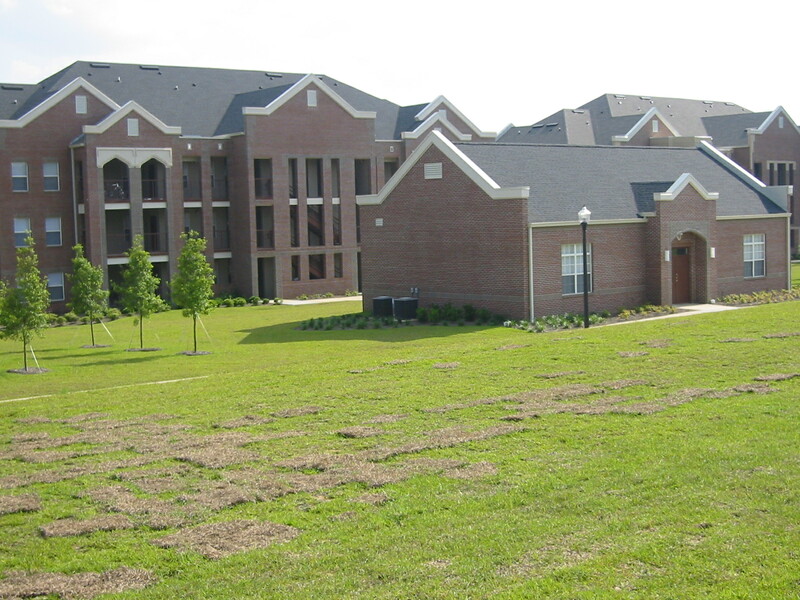 Epsilon Sigma – Florida State University » What Happened at Heritage Grove? What started as a grand vision and plan to develop a new, permanent home for ATO ultimately turned into a complex legal battle. In the end, ATO prevailed, but it cost the fraternity a great deal over sixteen years. The saga began in 1999, when the chapter house at 810 West Tennessee Street caught fire. Despite the fact the University-owned fraternity house had ample State of Florida-backed insurance, FSU refused to rebuild the building and refused to apply for funds to build a new fraternity house in an alternate location or to assist with alternate housing for the chapter. 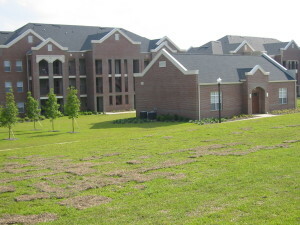 During that same period, FSU worked to develop a new fraternity housing complex. At the time, everyone envisioned a self-contained community of fraternity men with ample space and amenities to thrive. By the end of 2002, this initial vision began to take shape. With a new name of Heritage Grove, plans evolved quickly. ATO became one of five so-called “equity fraternities” because it made an investment of $240,000 to secure a larger lot and own its own fraternity house. In a drama-filled ceremony, fraternities gathered to select lots in the new property by drawing straws. ATO’s own, Garrick Wright ’97, drew the first straw and made the first pick. ATO quickly hired an architect and general contractor to design the house. The fraternity spent a year designing a 36,000 square-foot facility. The Heritage Grove Architectural Review Committee provided their required approval and plans moved forward. Until the first set-back occurred. In March 2004, bad clay was discovered on the property and required removal in order to support the foundation. ATO wrote a check to remove the bad clay. By July 2004, the general contractor provided its first cost-estimate to build the building – $3.3 million. Despite the fact ATO worked with a lender the entire time, in January 2005, Hancock Bank withdrew the loan commitment they made. ATO scrambled to find a new financing source for the construction project. While ATO renewed its search to find a new lender, the housing construction bubble was building. The cost to build the same fraternity house increased from $3.3 million to $4.5 million in eighteen months’ time. ATO spent most of 2005 and 2006 working with lenders to obtain financing and work with the architect and various contractors to reduce the scope and cost of the project. At long last, by March 2007, it appeared ATO made the necessary project changes and identified a new contractor to build the house for $3.6 million. Everything seemed to be back on track. One month later, FSU suspended the chapter over an alleged hazing incident. The three-year suspension had devastating consequences. Without an active chapter, there was no income stream and lenders were reluctant to loan money to build a fraternity house for a fraternity under suspension. Everything was put on hold. Leading up to the suspension (and even during part of the suspension), ATO paid Common Area Maintenance (“CAM”) fees to Heritage Grove as a condition of our lease to support ATO’s share of the general infrastructure and maintenance costs of the property. ATO paid approximately $36,000 per year for more than seven years. By January 2010, a newly re-chartered ATO chapter was active at FSU once again. However, national policies prohibited the chapter from occupying any type of fraternity house for at least one year. In addition, ATO was still struggling to obtain financing to build the house at Heritage Grove. During the intervening years, the original vision for Heritage Grove did not materialize. Sigma Phi Epsilon encountered problems similar to ATO and did not build on their parcel. Phi Delta Theta delayed the construction of their building for a long time. A shooting at the Lambda Chi Alpha fraternity house led to Lambda Chi’s suspension from campus. A number of fraternities decided they no longer wanted to lease the rental buildings designated for them. As a result, the property manager opened certain units to any student willing to rent the space. FSU also decided to construct a University police substation building at Heritage Grove. A number of problems plagued the property. By January 2011, ATO was tired of paying expensive CAM fees. ATO was frustrated by the unwillingness of Heritage Grove or FSU officials to negotiate reduced CAM fees or assist with bank financing. The new undergraduate officers and members were not enthusiastic about the possibility of moving to Heritage Grove. As a result, the House Corporation terminated its lease with Heritage Grove on January 4, 2011. The House Corporation spent the next three years negotiating an exit strategy and demanded a return of the original capital investment ATO made of more than $240,000. With no sign of a resolution in sight, ATO filed a lawsuit against the Leon County Educational Facilities Authority (ATO’s landlord at Heritage Grove) and the FSU Foundation on October 6, 2014. A year later, all parties reached a settlement agreement and the Authority agreed to pay ATO $235,000 over the next three years. The settlement agreement in November 2015, brought an end to a construction project that started with the fire in 1999. During that sixteen-year period, ATO spent more than $1 million on architects, engineers, contractors, fundraising activities, temporary housing for the chapter and CAM fees. The lawsuit settlement will return most of the land development costs back to ATO.